Our technologies and engine design have been fully tested and certified at the highest level. It is irresponsible and ill-informed for technology pundits to suggest otherwise in order to secure media attention for unfounded claims. 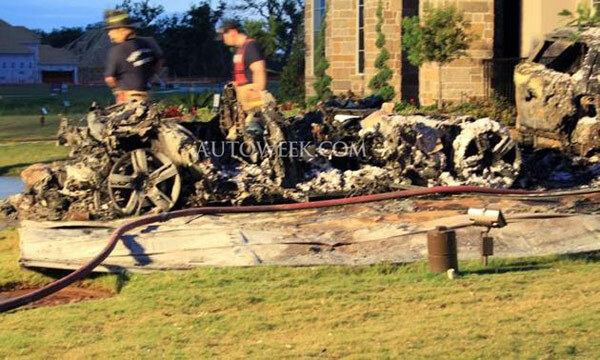 Fisker rep defends Karma hybrid sedan in garage fire aftermath originally appeared on Engadget on Tue, 15 May 2012 17:15:00 EDT. Please see our terms for use of feeds. Hand firmly grasping hat? Good. The Wall Street Journal is reporting on quite the bombshell today, noting that Google is about to cause its carrier partners in the States all sorts of grief — indirectly, of course. 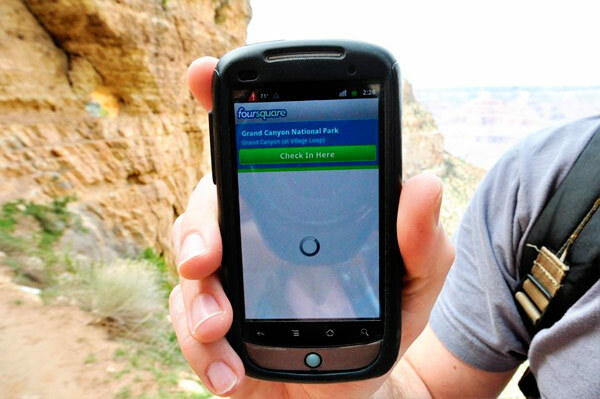 Just weeks after placing its heralded Galaxy Nexus on sale for $399 unlocked, the report states that said move is only the beginning of a new initiative. Likely to be formally revealed at Google I/O, the mega-corp is planning to partner with a variety of OEMs (rather than just one at a time) in order to have up to five Pure Google (read: Nexus) devices available at once. Better still, the whole stable will ship with Android 5.0 (Jelly Bean) and will be sold directly from Google in unlocked form to consumers in America, Europe and Asia. The move is significant in a myriad ways. For one, more unlocked Nexus devices means more choice when it comes to carrier selection. Furthermore, the move is likely to quell fears that certain partners may have about Google making Motorola Mobility its favorite after a $12 billion acquisition. Not surprisingly, Google’s not commenting on the matter, but sources “close” to the situation say that the company’s hoping to have the 5.0 cadre on sale by Thanksgiving — you know, just in time for Black Friday and the looming holiday shopping season. We’re all guessing that this will address the growing “app situation” head-on; by making a push to eliminate carrier-infused bloatware (while also providing early Android OS access to more partners), we’re hoping that the whole “skinning” dilemma is addressed, too. Google reportedly planning stable of Nexus devices with Android 5.0, will sell ’em direct originally appeared on Engadget on Tue, 15 May 2012 17:04:00 EDT. Please see our terms for use of feeds. Sony began introducing its new Ivy Bridge lineup last month with the VAIO E Series 14P, a multimedia laptop complete with gesture controls. 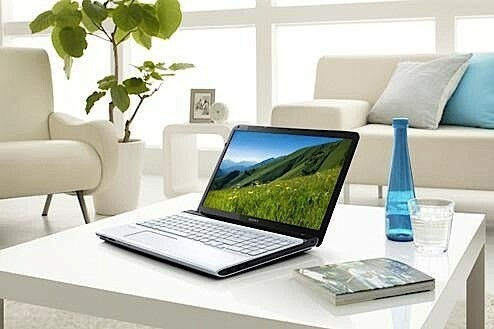 Today, the company announced two larger models to round out that family, the VAIO E Series 15 and 17. Unlike the 14P, these notebooks don’t come with Ivy Bridge power, but then their larger displays (15.5 inches and 17.3 inches, respectively) and an optional Blu-ray player on the larger model should be enough to tell you that these are entertainment-focused machines rather than next-gen powerhouses. Both the VAIO 15 and 17 run Intel Core i5-2450M CPUS and handle graphics with a AMD Radeon 7650M GPU and either 1GB or 2GB of VRAM depending on the model. Each also has a 750GB hard drive spinning at 5,400 RPM, plus a built-in webcam, USB 3.0 with a sleep-charge feature, HDMI, Bluetooth and WiFi. The main difference between the two is screen resolution: while the 15.5-incher sports a 1366 x 768 display, the 17.3-inch version has a more brilliant 1600 x 900 pixels. Pricing info is still MIA. While the VAIO E 15 and 17 didn’t make the Ivy Bridge cut, Sony’s business-focused VAIO S and VAIO Z lines will get the processor update. The VAIO S will be available in 13.5- and 15.5-inch flavors, each sporting backlit keyboards and a thin design featuring aluminium, magnesium or carbon fiber (depending on the model). While the 13.3-incher’s display resolution is yet to be determined, the 15.5-inch model will ship with a 1080p IPS screen. And while we simply know that the VAIO S 13 will come with a choice of Core i5 or Core i7 processors, the VAIO S 15 runs a Intel Core i7-3612QM with 8GB of RAM and NVIDIA GT640M graphics (along with an integrated Intel HD Graphics 4000 chip). On the storage side, the 15 has a 1TB hard drive. Both the VAIO S 13 and 15 will have SSD options, and Sony will offer a separate sheet battery for up to 14 hours of longevity. Weight-wise, the outlet is short on specifics, though both models will tip in at less than 4.4 pounds. Sony gives VAIO S and VAIO Z lines Ivy Bridge upgrade, outs two new VAIO E models originally appeared on Engadget on Tue, 15 May 2012 16:54:00 EDT. Please see our terms for use of feeds. This entry was posted on May 15, 2012, 5:30 pm and is filed under Mobility. You can follow any responses to this entry through RSS 2.0. Both comments and pings are currently closed.